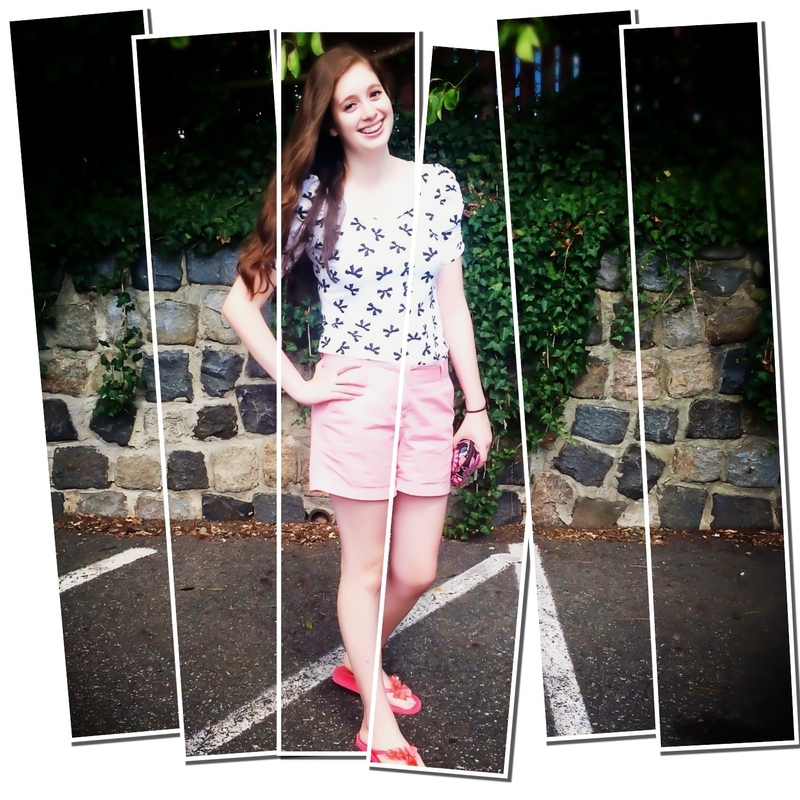 Monthly Street Style Feature: Sarah Michelson on Teen Style Her Way! 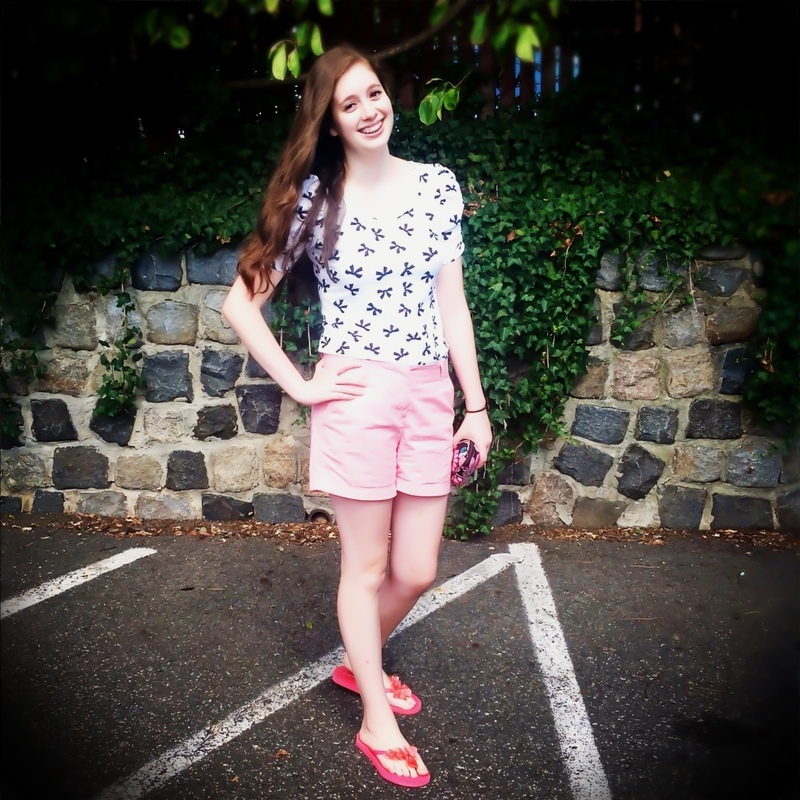 This month’s street style feature is focusing on a Super Teen – Sarah Michelson!! 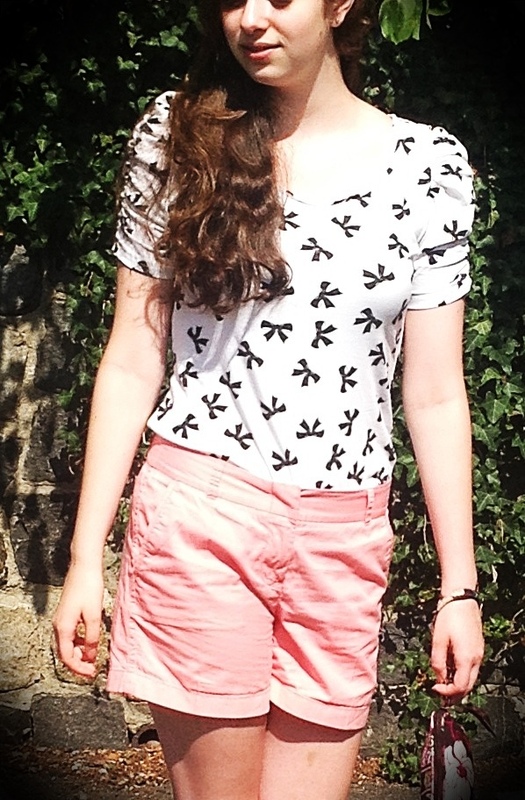 She’s got the look, she’s got the style and now we’ve got her on STYLE SENDERS! Out for lunch with family friends on a warm Monday afternoon, I was overly surprised that my favorite teen was sitting at the table, joining us for lunch! I immediately noticed her adorable outfit which Sarah will discuss the details of shortly!! Favorite Fashion Publication: Seventeen, Teen Vogue, Perez Hilton, People Style Watch, Allure, Glamour, Style Senders Blog. What is your style, how would you describe it? 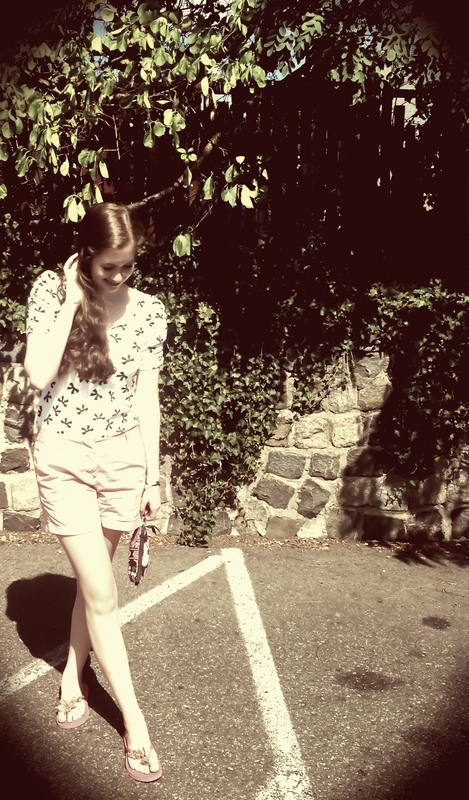 My style is classic and simple with a big pop of girlie femininity! I also like vintage-like accessories. What about fashion do you love? I love that with fashion (clothing & beauty) you can transform yourself into being a different person. Every time one gets dressed they can express themselves. It can make everyone feel better and feel much more confident. My dream job is to either be a cosmetics & fragrance developer & marketer or something else in the cosmetic industry! What are your favorite subjects in High School? Chanel, Marc Jacobs, Michael Kors, Elie Saab, Alberta Ferretti, Carolina Herrera, Tory Burch, Marchesa. Stores- J.crew, Forever 21, Gap, Nordstrom, American Eagle, Bloomingdale’s, Sephora. What is the most fun moment you’ve had in life so far? Going to Mercedes Benz Fashion Week with you for the fall 2012 shows, for the first time ever, — It was the coolest experience of my life and I’ll never forget it! This girl’s got amazing style!! There ya have it!! Can’t wait to see what this youngster-teen has in store for us next month with her monthly post on all things teen beauty & fashion!! YOUNG & FREE IS THE WAY TO BE!